Ask this region’s education experts, and you’ll hear a grim statistic about our youngsters: according to the state board of education, 83 percent of third-graders in Rockford Public Schools read below state standards. Nationally, about 32 percent of third-graders read below grade level. The problem isn’t just a reflection of student skills. It’s also a key milestone in a child’s development. Third graders who can’t read at grade level face an uphill climb for years to come. At a summit held last October with area leaders in government, business and nonprofit, conversation quickly coalesced around the impact reading standards can have on the broader transformation of the Rockford region. 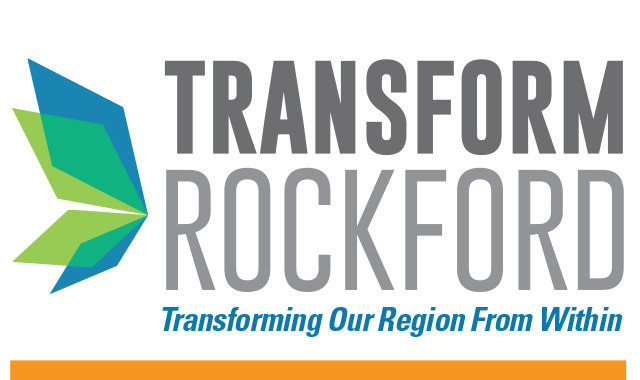 The summit was convened by NICNE and Transform Rockford, a nonprofit organization dedicated to a strategic plan for the region’s self-improvement. As it identifies ways to continue aligning resources around positive change, the group wanted to know where was the most energy and urgency. It soon became obvious that other issues – workforce development, poverty, crime – stood to be impacted by literacy. And it would take much more than the public schools to see true transformation. Rockford Public Schools already had volunteer reading tutors, and it was reframing its approach to reading instruction. So how, then, could other stakeholders help to move the needle? The answer laid in strategies already being deployed through Transform Rockford. Reidenbach is one of several area leaders trained in a process called “collective impact.” This approach to community improvement focuses on five key steps: identifying a common agenda, establishing measurements, aligning resources and programming around a goal, communicating among partners and naming a backbone organization to facilitate the movement. In the case of third-grade reading, there was common agreement on the agenda and the preliminary measurement. And there were initiatives in place that could address underlying issues. Alignment Rockford, which was tapped as the “backbone” for third-grade reading, has been piloting an initiative, through its Healthy Start team, aimed at kindergarten readiness and parent-child interactions among children under age 5. Through the pilot, public housing residents at The Grove at Keith Creek are learning to stimulate brain growth in their little ones. Local groups including the YMCA, Discovery Center and Barnes & Noble are lending support. The program is being extended to the Fairgrounds housing complex this fall. Now, case managers can refer families to a single point of entry – a single agency that makes referrals in a given area such as housing, transportation, child care and food. Contact cards are now available around the region, and efforts are underway to make them available digitally, too. The third-grade reading initiative is still in its early phases. Grimmett says she’s assembling an advisory board that will include community leaders as well as parents and students, especially those from low-income households. By January, Grimmett hopes to have a defined plan. Meanwhile, she’s encouraging any discussion that builds a “culture of reading,” including this summer’s Read 815 campaign. She’s also finding opportunities to align organizations like Literacy Council and Goodwill, which both serve the parents whose role is so critical. Reidenbach is encouraged by the work of other communities who’ve attacked third-grade reading. In Erie, Pa., students reading at grade level jumped from a paltry 34 percent to 75 percent – in three years. This entry was posted on Friday, August 17th, 2018 at 11:57 am	and is filed under Northwest Business Magazine. You can follow any responses to this entry through the RSS 2.0 feed. Both comments and pings are currently closed.